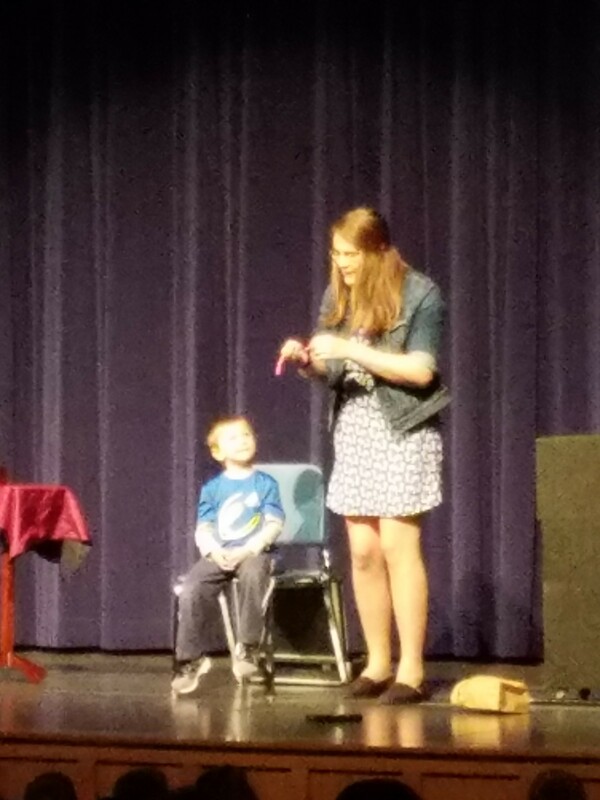 Closing a magic show with a story! 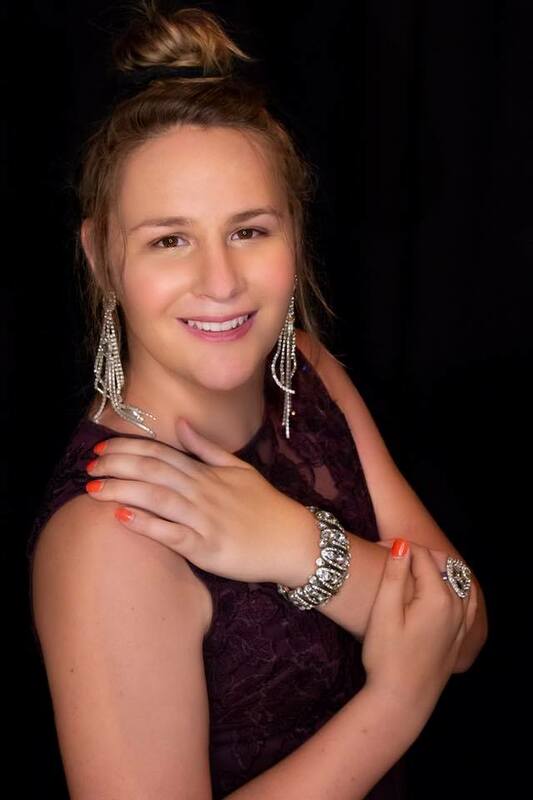 Mikayla Oz is focused on bringing high quality entertainment to your next event! 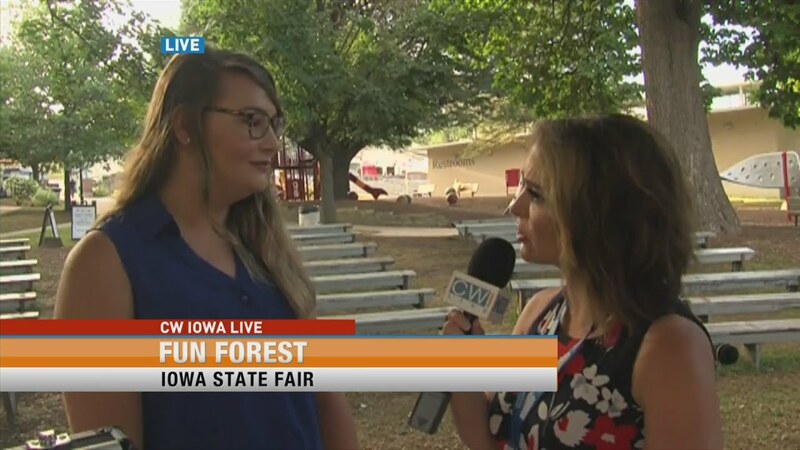 She has been seen in USA Today, Associated Press, The Huffington Post, Great Day TV Show, The Iowa Wild Hockey, WHO News and events all over the Midwest! Contact Mikayla Oz today for more information about bringing her to your next event! We booked Mikayla for a school event and everyone loved her! She did a great job keeping audience attention and had several students up on stage with her. They loved her Magic bird, Bubbles and also when she made a table float! She is very impressive, funny, and very talented! You won’t be disappointed! Thank you Katie for having me! I had a blast!! She did a awesome job. The kids loved it and the adults enjoyed it also. Even when the kids thought they knew what was going on she fooled them. The kids just loved her show. I would recommend her for any of the kids programs. Thank you so much Lafe! Had a wonderful time! Mom/Son Date Night was a success! Mikayla preformed for a fundraiser in our community. The age range of boys were 2-10 and everyone enjoyed her show. She was very interactive with the crowd and the magic was awesome. Highly recommend. Magician Mikayla provided an extraordinary level of magical illusion of entertainment and kept the children excited and engaged. Many parents at the birthday party thanked us for inviting such a talented entertainer to our son's 6th birthday party. Very professional with great communications up to event date. Magician Mikayla prepared and performed a great show for our son's birthday party! We had 20 third-grade boys at our house for Mikayla's show. They were full of energy and super excited. Mikayla not only provided great entertainment but she managed the dynamics of this energetic group! 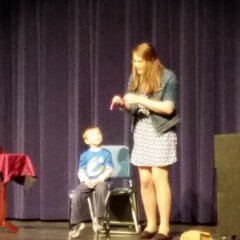 Our birthday boy loves magic and Mikayla involved him in the show and made this "the best birthday ever." We were thrilled with Mikayla and her magic show! Mikayla was courteous, professional and a joy to work with. She did a FANTASTIC job and had a very entertaining show that both the children and adults loved. She handled one of the rowdy children like a pro, and everyone loved her show. My boys are STILL talking about it and have asked to have her come back again next year. We would definitely recommend her! If you need entertainment for a child's birthday party, hire Mikayla! We hired Mikayla for our son's 7th birthday party and she was awesome! The kids and adults at the party all loved her! Days later and parents are still messaging me to let me know how much their child loved the party! Her communication from booking, to the day of the show was fantastic too! Thanks Mikayla for making my child's birthday party the best! 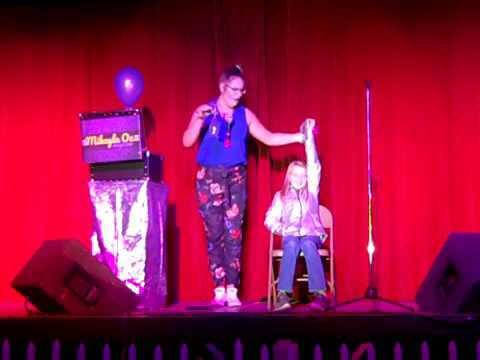 Mikayla put on an amazing show for our daughter's 7th birthday party! Her brilliant magic tricks, energy, and fun personality made it a day to remember. We would definitely recommend her. We hired Mikayla for our son's 8th birthday party and all of the kids were super excited to see a real live magician. They are still telling stories at school a week later. Mikayla did a great job captivating the attention of 23 children which is an extraordinary feat! She is very kid friendly and fun. I would definitely recommend her for your child's party! PERFECT show for my wife valentines gift at work. She went above and beyond and made the perfect day! My husband and I hosted a small Christmas gathering for my daughter and about 10 of her closest friends. We were not sure what to do for all the 15 and 16 year girls and thought of a magician. We found Mikayla on this site and we were beyond please. She had to come into a house full of 'hard to please' girls and she did an amazing job! She caught their attention right from the beginning and had their attention the entire time. I would totally recommend her and I cant wait to think of another event so we can invite her back. Mikayla did a show for my kids' birthday party. It was setup last minute and she was extremely flexible with me. All of children loved the show...and the adults enjoyed it as well. I got so many compliments on how fun and different my kids' birthday party was. The kids were telling stories for days about how cool the Magic Show was. Plus, all of the kids got to take home a balloon animal which went over extremely well with all of them. Mikayla was reasonably priced and just all around puts on an awesome show! Thank you Mikayla! Delightful! Professional! Tons of giggles and laughter! Mikayla's magic and illusions captivated all of our rambunctious cub scouts (and a few adults) for over an hour! Her energetic and fun loving nature created a delightful atmosphere to allow kids to be kids. She was super patient and professional! I would highly recommend Mikayla! Great magic show for 7 year old birthday party! Mikayla was a memorable part of my sons birthday party. All the kids and the adults enjoyed the show. She was very professional and personable. I would highly recommend Mikayla for any event! Looking for a high quality magic show that will leave people talking and make you look like the hero for providing great entertainment? Directly from the Land of Oz comes a natural born entertainer, Mikaya Oz! Mikayla has been astonishing audiences across the Midwest for more than 10 years. Performing for the smallest crowds to the biggest stages. Oz doesn't do your grandfathers old tricks, instead she is bringing a new light and redefining magic. 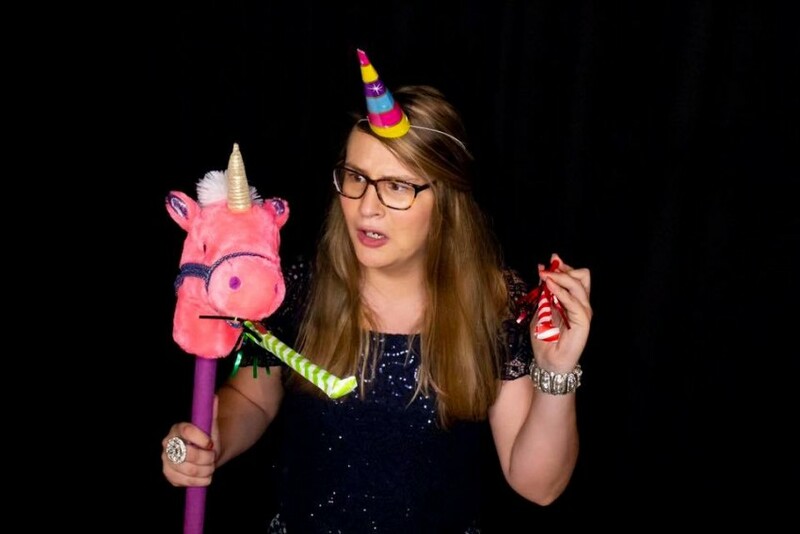 Mikayla Oz provides a high energy show with lots of audience participation, modern music, hilarious comedy and AMAZING Magic! Mikayla strives to make every show unique and fit into your event perfectly. From doing magic right under your nose, to producing live birds, to full scale illusions, Mikayla is truly one of a kind. Entertaining both young and old and incorporating the whole crowd in every show for a guaranteed good time! Want Mikayla for your next show or have any other questions?